Fort Canning Park is deeply rooted in Singapore’s history, from the time of the 14th century kings to the founding of modern Singapore. Learn more about the park here. Do you know what "Espalier" means? Find out more this vieo or head down to HortPark. Familiar with the popular sights and beautiful trees of the Singapore Botanic Gardens? But have you ventured to the area around Raffles Building? We pick five impressive trees for you to discover there. 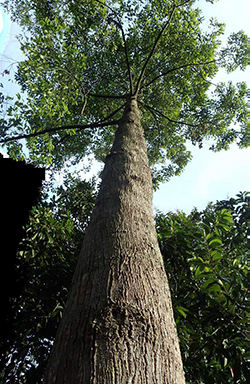 The Bukit Timah Nature Reserve is an important reminder and model of the importance of conservation in Singapore and the region. Learn more about some of the remarkable trees in the Reserve. Greenery is sprouting up on buildings’ walls and rooftops. 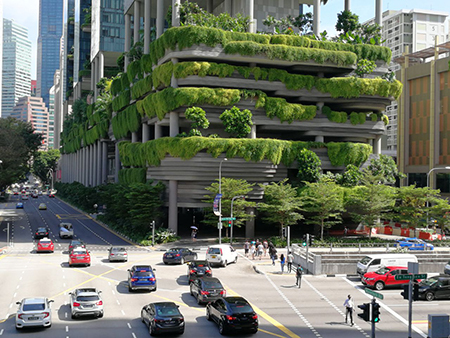 Take a walk in the Central Business District area to enjoy the verdant foliage that lends weight to our reputation as a City In A Garden. We are giving away 5 sets of prizes, comprising either a Frangipani or Torch Ginger botanical journal with bookmark. To commemorate the Singapore Bicentennial, why not step back in time to experience our heritage or learn from our history while in Fort Canning Park, and then see the work of our budding talents in the arts scene. There are many elements that make the Singapore Botanic Gardens a top place to visit. And while you are in the Gardens, pick up unique gifts that truly reflect its timeless heritage. Singapore commemorates its bicentennial this year. As we look back at how far we’ve come in the 200 years since the British landed on our shores, we also remember other key milestones – some that date back 700 years – that laid the foundations for our green island in the sun. Here at NParks, in addition to our history and heritage, we also celebrate our natural heritage. 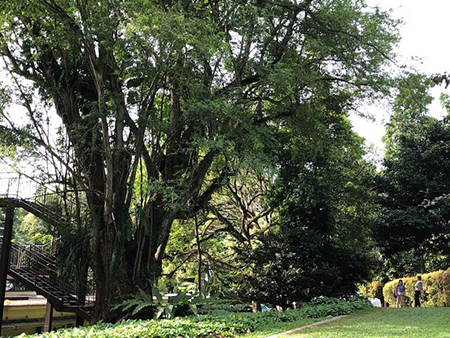 In this issue, we visit three locations – the Istana, Bukit Timah Nature Reserve and Singapore Botanic Gardens – where you can find green ‘treasures’, majestic trees that have stood tall over the years and bearing witness to time gone by. Fort Canning Park is the site for many key events held in conjunction with the bicentennial, which is why we make yet another visit there, this time to examine significant historical spots in the park. Besides Raffles, we also remember other key figures who contributed towards the rich natural heritage we enjoy today. Important conservation work continues on – we highlight the plight of the pangolin which has the dubious title of the Most Trafficked Animal in the world. And while we all go ga-ga over baby turtle videos, there is a much deeper conservation message we should learn. The article, New Home to Conserve Turtles, looks at what is being done at the turtle hatchery on Little Sisters’ Island to conserve the Hawksbill and Green Turtles. We have overcome challenges to reach many milestones in the last 200 years. So I invite everyone to join us in continuing in our efforts for the conservation of our natural heritage as we look ahead to the next 200 years.